January 2014 Update: These homes sold long ago, as did homes in Spring Branch. Contact Me here, to find out where they are building now. 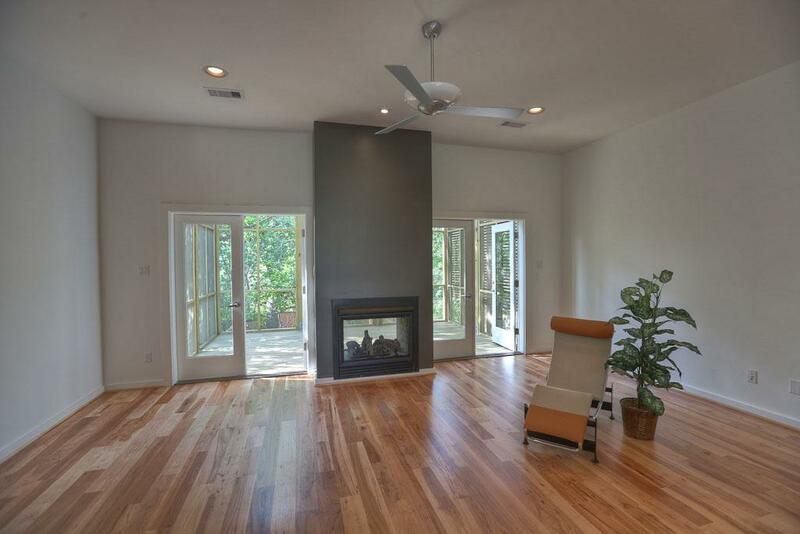 Houston Heights is not known for contemporary homes. Nearby Cottage Grove and Shady Acres have quite a few, but not the Heights. 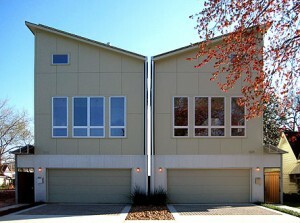 However,there are a few contemporary homes here in the Heights, and I fell in love with one last week. When you drive by 530 & 532 W26th St you’ll see the two Butterfly Lofts. The outside is pretty cool, but the interior is fantastic. 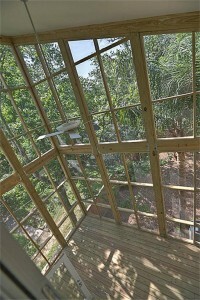 You truly feel like you are in the tree-tops when on the second floor. 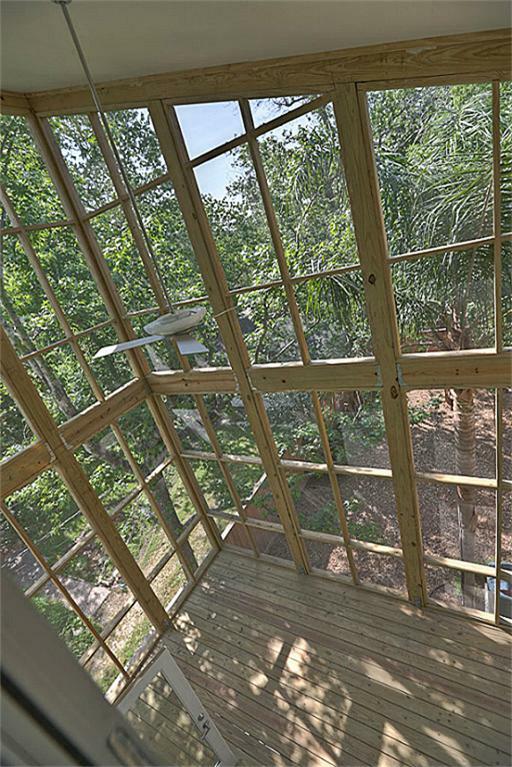 This level looks out onto a two-story screened porch, then into trees. A fireplace opens to the living room and the screened porch. This energy efficient home has too many features to mention. See the photos on the MLS listing for 532 W 26th St. Every room is stunning. It is elevator ready, another rarity in the Heights. It’s not my listing, so it has to be great to be featured here. Built by Open Design & Development. Their website The ODD Group gives details on their philosophy on green building, and features of these homes. Priced at $594,500 for 2772 SF 3/2.5/2. Maybe it’s the connection of indoor/outdoor spaces that I love. This is not the norm for “contemporary”. Maybe that’s why I think these two homes are so inviting. A great builder who is constantly seeking new sites and unique style.